When I think of 4th of July food, I think BBQs. 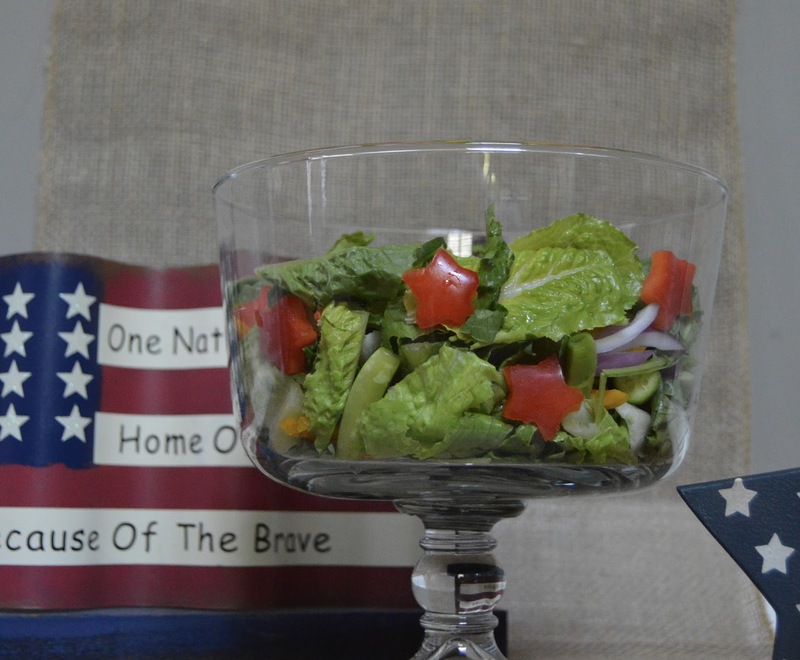 The baked beans, burgers, and Pinterest quality desserts that look like the American flag. YUM!!! In the midst of all this yummy food, it's nice to have a good salad on hand to break everything up.... and if you're like me fill your plate! If you want to bring a little green as a side to your BBQ but still want that Pinterest quality visual appeal, I give you my Star Spangled Salad! 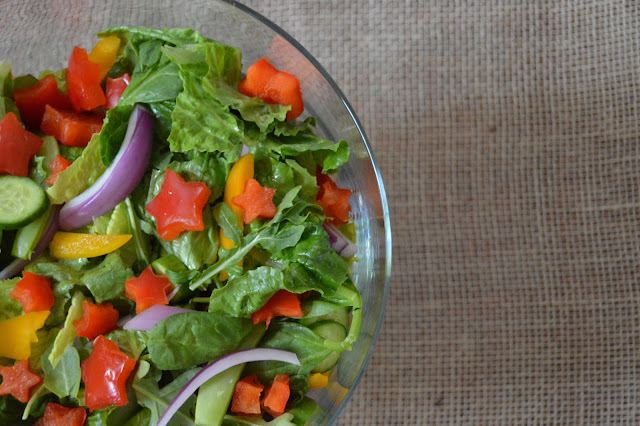 Combine all ingredients in your favorite salad bowl. (I used my favorite trifle bowl). Scatter the red star bell peppers over the top of salad. Tip: when using the cookie cutter to cut star shapes, you'll get a cleaner looking star if you cut with the shiny side (outside of the bell pepper) up. In other news, Ty took his first step the other day and I about passed out I was so excited. I terrified him with all my screaming and clapping lol poor kid is never going to want to walk again! His favorite thing to do is play catch with his mini soccer ball and put it through his toddler basketball hoop. I think we have a future allstar athlete in our presence!